This heavy duty Superior Shed has been installed at our customer's home in Wokingham, to compliment their beautiful garden. Our service is different to many others in that it includes installation and delivery as part of our complete service offering. 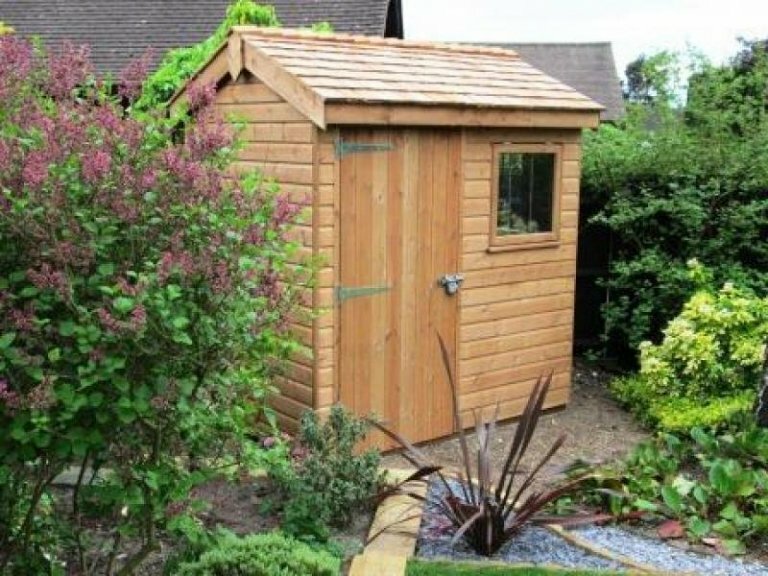 The customer plans to use their shed as a place to store their gardening equipment. The exterior shiplap cladding was finished in our standard light oak preservative, with cedar shingles lining the roof to blend in perfectly with the walls. Cedar shingles offer excellent protection against the elements and silver with age, giving this shed a rustic feel. Finally, a security pack provides the customer with peace of mind that their belongings will remain safe in their shed. 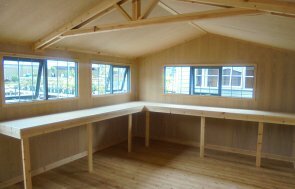 Our Superior Sheds are fully customisable, coming in an array of sizes with a range of customisable options. 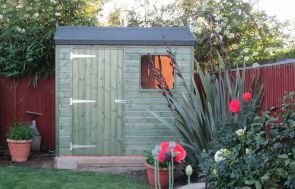 Our other Garden Shed options include the Classic Shed, and the National Trust range of Sheds - These are traditional and add a timeless aspect to any garden. Here at Crane Garden Buildings, we take pride in our buildings and create every building to order at our factory HQ in Narford, Norfolk. We have a total of seven show centres across the UK, each of which is open to the public for browsing. Here you can view a selection of our buildings in person, helping you to decide on the perfect make and model for your garden. If you require more information on our Garden Shed options, or want to start creating your own, follow the link below.